Ronaldo Souza was finished in a fight for the first time since 2008, losing to Robert Whittaker by second-round TKO at UFC on FOX 24. But many people criticized referee Mario Yamasaki’s stoppage Saturday night in Kansas City. 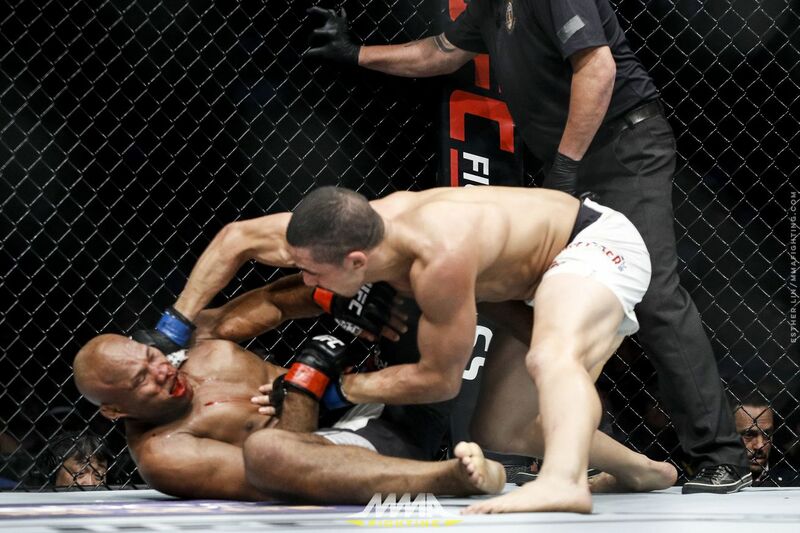 Whittaker dropped “Jacare” with a vicious head kick followed by punches, and kept hurting the Brazilian on the ground. When Souza tried to push Whittaker and scramble, Yamasaki decided it was enough and called the bout. You can’t know for sure what would have happened if Yamasaki had given his countryman more time in the fight. However, Yamasaki says Souza went out as soon as he hit the ground, and woke right back up when Whittaker landed more punches. “I don’t know if you saw it, but ‘Jacare’ went out on the ground, was punched and came back, and ate three more strong elbows,” Yamasaki said, “and I decided it was better to stop the fight because, in my opinion, Whittaker would only let him come back up to knock him down again and beat him up. To preserve him, who was no longer intelligently defending himself, I decided to stop the fight. Yamasaki, who recently admitted he made a mistake during Travis Browne vs. Derrick Lewis heavyweight fight in letting the fight go a bit too long, said he’s working on producing an online course for everyone interested in the referee’s work.